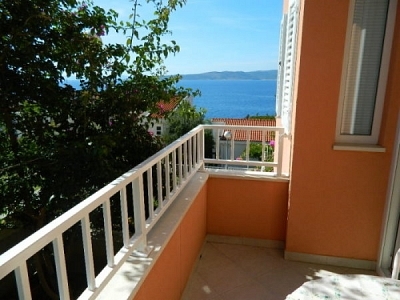 Apartments Novak are in the near by of the center of Brela, from which you have beautifull view to sea an islands. Distance from the sea is arround 30 meters. Offer includes studio appartments with mini kitchen,bedroom,sat tv,wifi internet,bathroom and balcony. Also we acess 11 parking places so all guests have parking guaranteed,and kindless host will do everything to make your vacation more pleasurable. Each of studio appartment have separated entrance so all guests can enjoy without disturbing each others. Apartmani Novak nalaze se u samoj blizini centra Brela,s kojih se pruža predivan pogled na more i otoke.Udaljenost od plaža je oko 30 metara. 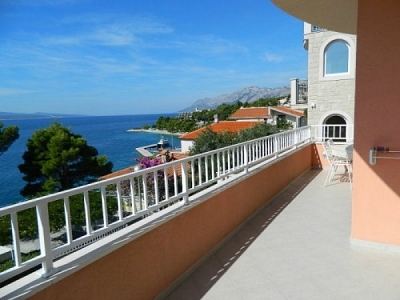 Ponuda smještaja uključuje studio apartmane opremljene mini kuhinjom, spavaćim sobama, sat tv-om,wi-fi internetom, kupatilom i balkonima. Raspolažemo i sa 11 parkirnih mjesta,tako da je parking svakom gostu zagarantiran,a ljubazni domaćini će učiniti sve da Vam odmor bude još ljepši i ugodniji. Svaki od apartmana ima svoj zaseban ulaz tako da svi gosti mogu nesmetano uživati u svom odmoru bez da jedni drugima ometaju uživanje. Brela settlement is situated about fifteen kilometres north-west from Makarska.Because of the thick pine forests, long and sand beaches, and fresh water spring, for decades Brela has had an important role in tourism of the seaside around Makarska.In Brela woods and beaches are bathed in brilliant sunshine. The breeze brings the smell of the sea and the odour of aromatic herbs is felt in the air. Seagulls cries are mixed with singing of birds.The place is situated by the seashore, between Biokovo mountain and the island of Brac.Brela is unique in its beauty with marvellous beaches, pine woods, crystal blue sea, Mediterranean climate, sport grounds, marina, ecological surrounding and relaxing peace, top quality service in luxury hotels and private accommodation. All guarantees unforgettable holidays. Pick a picture to see slideshow. 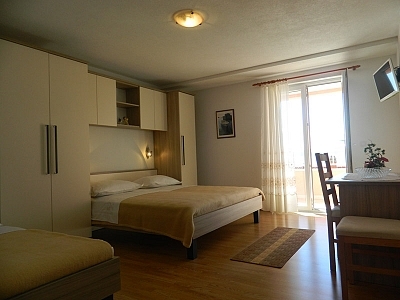 Prices of studio appartments and included content. Brela offers many outdoor activities that are at your disposal.These activities include pedestrian zone Lungomare and cycling zones, gym, wellness,table tennis,tennis-courts and trekking. For sports climbing in Brela you have at your disposal a pretty high rock, offering different routes of medium difficulty, as well as easier routes. From sea sports you have paragliding, parasailing, boat rentals, jet ski rentals,kayaking and rafting and canoeing in nearby city Omiš.Panoramic ride is a great way to get to know Brela and its beauties. You can choose day or night ride. Sitting in a semi-submarine at a depth of 2 m allows you to get to know the underwater world. Another popular thing to do while vacationing in Brela is to go diving. The developed relief of the underwater world is around 50 meters deep in the north, reaches to around 250m near Palagruža, and not far from Jabuka it reaches depths of around 1300m. Experienced divers in search of wonders like beautiful endemic flora and fauna species of the Adriatic or sunken Roman galleons and naval ships can go on organized tours. Brela’s diving center can even offer beginners the possibility to go on a variety of professional courses. 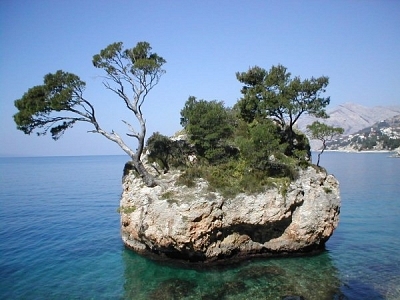 Biokovo Mountain, an imposing, massive rock towering above the Makarska Riviera, is a popular attraction in Brela. Its beauty is accessible to all who come to visit it, individually or in organized groups. Nature Park Biokovo offers pedestrian zones, mountain climbing, alpine speleology, as well as extreme sports such as cliff climbing, trekking, mountain biking, paragliding, caving, canoeing, and many others. The Botanical garden in Kotišina is worth visiting, with different plant species characteristic of Biokovo and this region. Brela is situated in an ideal location for one-day and half-day visits to the nearby sites and cities. Most of the one-day excursions which connect Brela with other destinations in Dalmatia make possible the exploring of this area. 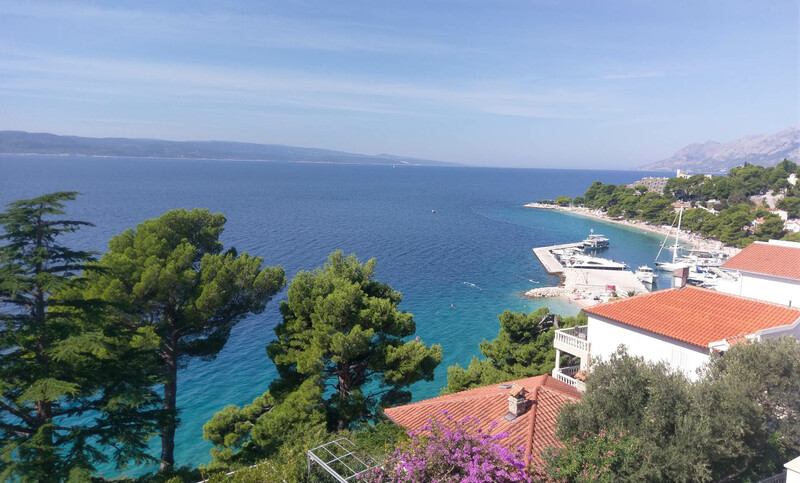 The excursions vary from the old heart of Dalmatia, the city of Split, with its antique and medieval core built around the Roman emperor Diocletian's Palace, to the world famous Dubrovnik, and to the islands of Brač and Hvar, which are the Adriatic centers of literacy and culture. 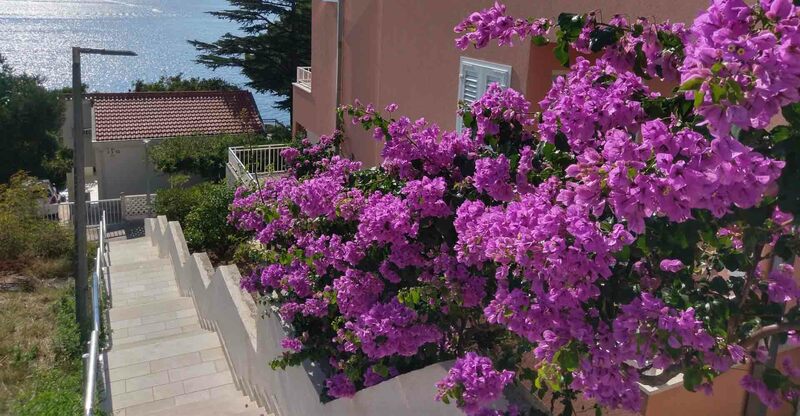 Makarska, as the center of Riviera is rich with the cultural sights: the city square with St. Mark's cathedral and Franciscan monastery with malacological museum. Find us easily with google map cordinates. You can contact us on a followed numbers and mail adress below.